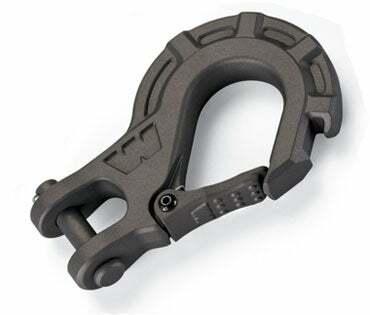 I'm writing about winch hooks, and I need to know if there's a technical term for that spring-loaded flap that closes back down after you hook up the tree strap or whatever. That little swinging hook door thing. Right there. What's that guy called? Here's the Mighty FC being awesome for your trouble.